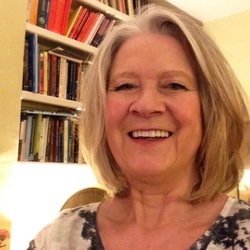 This is the website to contact Jackie Robarts for music therapy supervision & consultancy, professional development courses and workshops, and improvisation lessons for music therapy practice. Jackie Robarts' work as a music therapist, clinical supervisor, and trainer of music therapists spans over 3 decades, with a wide range of children, adolescents and adults - in NHS child & adolescent and adult mental health settings, in mainstream and special education, and at the well-known Nordoff Robbins Music Therapy Centre London, where she was a Senior Therapist and Clinical Tutor for nearly 3 decades, teaching a developmentally and psychodynamically informed musical-therapeutic approach. She is now a professor of music therapy at the Guildhall School of Music & Drama, London. She presents her work internationally, and publishes in music therapy and interdisciplinary texts and journals. Getting to the heart of music therapy and the music-therapeutic relationship is a creative learning process: a journey deepening one's experience and understanding through a synthesis of listening, feeling, exploring, and thinking. Jackie's approach integrates developmental and psychodynamic understanding, deeply rooted in music. Her therapeutic insight links experience with practical skills and theoretical understanding. Jackie teaches experienced and trainee music therapists keyboard and free improvisation skills, using voice and other instruments. From basic steps in improvisation to advanced uses of different genres and styles Jackie tailors lessons to each person's strengths, drawing on their individual musicality and musicianship to develop their range and flexibility. Improvisation techniques are explored through role-playing music therapy scenarios, as well as listening to clinical material and exploring classical and popular music. Making links between specific clinical improvisation techniques and specific music therapy processes is another facet of her teaching.